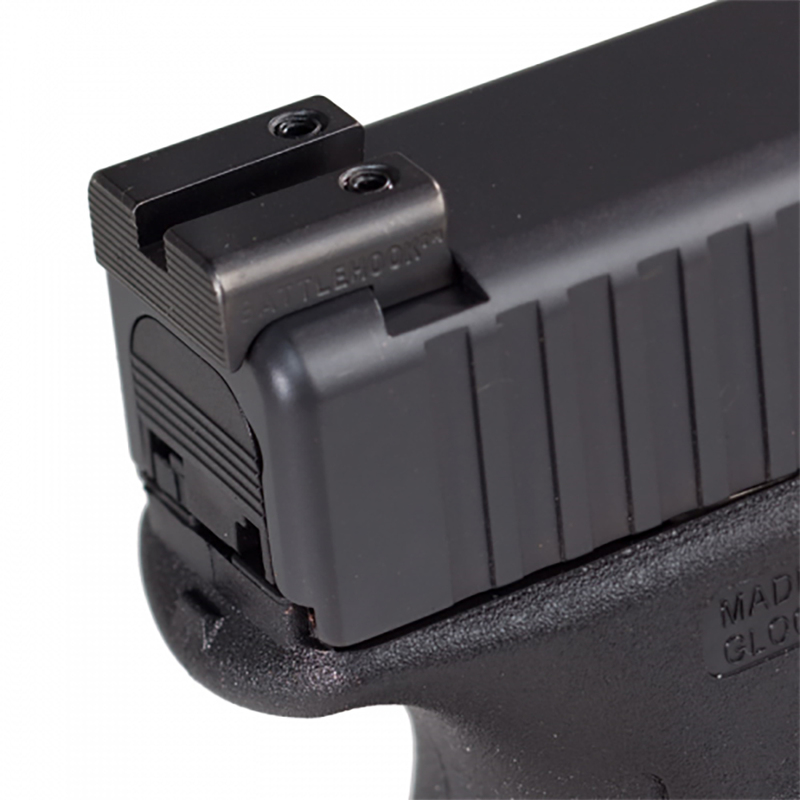 These fantastic sights feature a 'hook' design that extends over the back of your Glock, giving you a longer sight radius and larger sight reference for high precision shooting. Opted Henning over trijicon in part due to f/r tritium GS price. I may paint the front post eventually, but otherwise have all the features I wanted. My accuracy is much better after ditching the OEMs. Glad to finally have steel. Professional install was $10. These sights are the brightest tritium sights I have ever seen. I got a set for my G19 about nine months ago because I liked the design of the rear sight hook for one hand slide manipulation and sight picture. The brightness of the trits is a bonus. This set is for my sons G17. These are excellent sights. But, if you are going to install them yourself, be prepared for some hand-fitting and budget some extra time. I use the MGW rear sight tool and that installation went without a hitch. However, the front sight took patience and coaxing with a very fine triangle file.